This is the scene after a robbery at my studio. 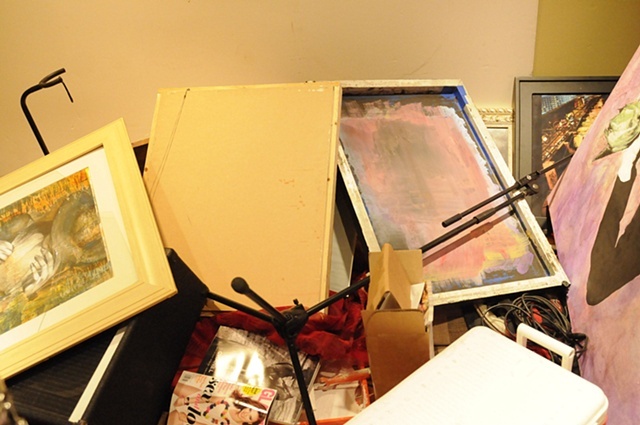 Equipment was stolen and all the art I had in storage was not stolen but damaged and thrown around recklessly. The police refused to come and take a report.